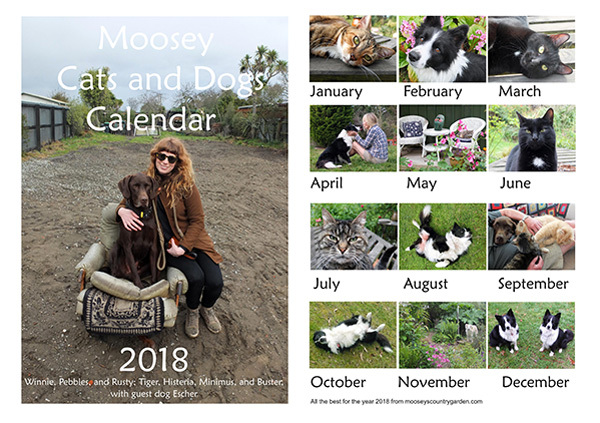 Here is my 2018 calendar which features the Moosey cats and the dogs. You'll meet the two sister black and white Border Collies, Winnie and Pebbles, plus the current four resident cats. It's free to download, print, and enjoy.